Use our list of the best islands to go to in Thailand as a guide to your personal backpacking trip. This island is the second largest one in Thailand and features a wide range of activities for everyone. This island is known for the “Big Buddha” landmark, Grandma and Grandpa rock formations (Hin Ta and Hin Yai), its festivals, such as the Buffalo Fighting Festival and the Ten Stars Samui Art party, a yearly regatta that attracts sailors from across the globe, an annual triathlon event, breathtaking waterfalls, bustling fisherman’s village, and many street fairs offering local art, food, and souvenirs. The best time to go to Koh Samui would be during the high season in late December to January or July-August, but February-June and September-October may offer low accommodation prices and less crowded beaches if you prefer coming at a quieter time. Koh Yao Noi is one of best quiet islands in Thailand. It is part of a pair of islands with Koh Yao Yai in the Phang Nga Bay. It became known for the accolades it received from Conservation International and National Geographic Traveler and offers simplicity and an escape from the tourist-ridden sites on other islands. While the island is rather quiet and untouched, there is a wide range of things you can do in Koh Yao Noi. You’ll see wooden homes, roaming buffalos, rice paddies, rubber plantations, and mangroves. This island offers idyllic, peaceful kayaking, rubber and fishing demonstrations, and hiking that offers a mindful, serene escape. This archipelago has become a tourist hot-spot and Ko Phi Phi Don may be considered the best island in Andaman. Top sites to visit here include Maya Beach, Monkey Beach, and Bamboo beach. Make sure to do some evening snorkeling while you’re here as well to check out the tides of plankton that move through this area. Panwa Beach, a relatively untouched beach on the southeastern corner of the island, the Phuket aquarium, Promthep Cape, a popular sunset viewpoint near the southernmost point of the island, Hat Kamala, a beach offering tranquil, white sands for relaxing and a reef for snorkeling a nearby Buddhist temple, Wat Baan Kamala, featuring statues that depict Buddha’s journey through life, and Phuket Town, which features charming Sino-Portuguese architecture, colorful shops, and Phuket Trickeye Museum. Nicknamed the “James Bond Island,” this island features large limestone karsts, sea caves, cliffs, and several beaches. This is a great place to snap some pictures, hike over the cliffs, and pretend you’re a Bond villain as you explore the caves. James Bond Island is located in the Phang Nga Bay and there are many other interesting things to do in and around the Phang Nga Bay too. Visiting James Bond Island really boils down to getting there, but you have to plan your whole day around this short trip and make the most out of it. Also, be prepared to meet a lot of tourists. This small island is one of the best islands in Southern Thailand. It is an excellent spot for water sports like kayaking, canoeing, and stand-up paddle boarding. The island also has great snorkeling right off the beaches as well as boat trips that leave from the island that offer memory-making diving and snorkeling experiences. Sunrise Beach is a great place to start your snorkeling experience, both in the shallow waters as well as after the drop-off where deeper waters lend visitors the opportunity to see a wider variety of marine life. Now that you’ve seen our list of the best islands in Thailand for backpackers, start planning your trip today! Perhaps one of the most liberating things we can do as humans is abandon the comforts of life we know and love and hit the open road. And, what better way to feel completely free than to drive away in an RV rental? RVs offer complete location independence, so you don’t need to stop and find a motel every night. But, people aren’t just looking for freedom when they load up an RV. Some people want more than just thrills and adventure. For some, an RV road trip offers the chance to have a completely unique spiritual experience. It might not be the most luxurious spiritual trip but turning your standard road trip into an RV spiritual adventure might just change your life. So, here’s how you do it. Before you set off on your spiritual journey, it is a good idea to have a goal in mind. This doesn’t have to be particularly specific but it should be realistic. Don’t embark on your journey thinking that you will solve all your problems just by driving around for a bit. That won’t happen. An example of a realistic goal is maybe to help yourself come to terms with being alone or to be able to embrace loneliness. Alternatively, you might want to achieve a certain level of independence. Whatever you choose, make sure it really comes from you and not from any external pressures. This is your spiritual adventure. Spiritual journeys of any kind, RV or otherwise, are best taken alone. If you don’t have anyone else with you, you can’t be swayed by any external attitudes. You won’t feel rushed or under any pressure and you can do what you need to do in your own time and on your own terms. Doing the trip alone also allows you to focus all of your energy on yourself – a privilege we are not often afforded in every day life. You should also disconnect from social media as much as you can. A constant feed of activity from your friends won’t help you be alone, which is what you need. Focus your body and mind on your personal RV spiritual adventure. If you think you need more time or need to be doing your journey differently in order to maximise your results, don’t be afraid to tell yourself that. You also mustn’t be afraid of failing. It may well be the case that you don’t achieve your goal during your spiritual RV journey. If that’s what happens then that’s fine as long as you feel comfortable admitting that to yourself. The only person you hurt by lying to yourself if you. Knowing what you want to get from your RV spiritual adventure will help you decide where you should be going. Pick destinations of general spiritual importance as well as places that hold a special significance just for you. Avoid big cities with lots of distractions as this might cause you to lose focus of your aims. Turning your RV trip into a spiritual journey is a big decision so, if you decide to do it, make sure you do it properly. A well-chosen luxury vacation can be one of the best spiritual experiences of your life. Whether you’ve earned some winnings on an online casino, or just want to treat yourself, spending a little money on a retreat is an excellent investment. Read on to discover the best luxury getaways for spiritually-minded travelers. Ireland is one of the most spiritual places in Europe. Located on the edge of the Atlantic Ocean, this small island is a mix of ancient tradition and continental luxury. Travel to the southwest and stay in one of the amazing luxury resorts in Kerry. This stunning region is bordered by wild seas and is home to the beautiful Killarney National Park. The rugged landscape has a profound influence on Irish culture and spirituality. Take time to breathe it all in, and center yourself in this striking landscape. After exploring the wilderness nearby, treat yourself to a luxury spa treatment in the likes of Parknasilla or Aghadoe Heights. Thailand is one of the most accessible countries in South East Asia and is popular with all sorts of travelers. As such, it caters for luxury vacations as well as budget-friendly options. For some spiritual healing, visit Phuket. The Keemala spa is a spectacular getaway. With luxurious pods hidden among the branches of a verdant forest, this resort is one of the most striking in Thailand. It’s an ideal option for visitors looking for classes in reflexology, yoga and Chinese herbal medicine. Wherever you decide to stay, spend some time outside the resort to visit some Thailand’s many temples. Take in the serenity of these beautiful structures, and are ideal for peaceful reflection. Much of Iceland’s deep spirituality is rooted in its natural wonders. Indeed, one of the most spectacular things to witness in Iceland is Aurora Borealis. The Northern Lights are intrinsically linked with Norse mythology and are an essential attraction when visiting. For a luxurious way to see them, check out villas in Selfoss. These high-end properties have beautiful vistas of the Olfusa river and help you get close to the amazing natural light show. If you’d prefer to stay close to the capital, you can also view the Northern Lights from luxury accommodation in Reykjavik. 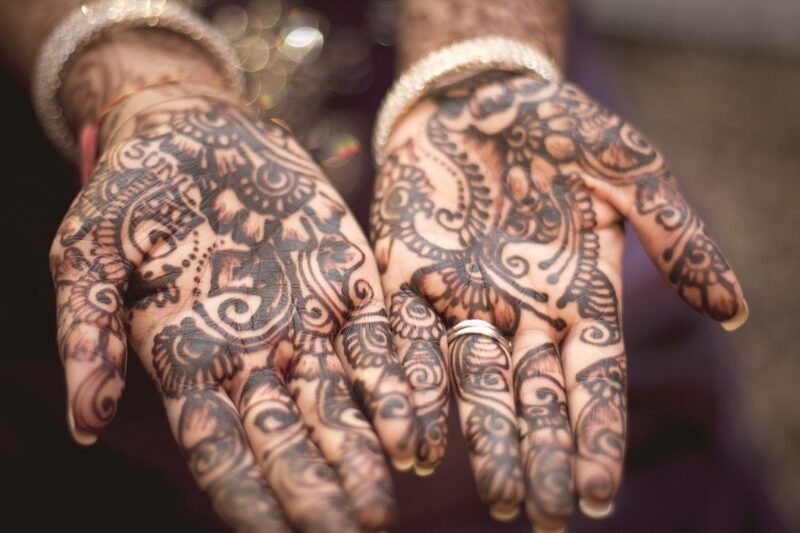 If you’re seeking an enlightening luxury break, there are few destinations better than India. With a plentiful selection of yoga retreats and spiritual centers, this enthralling subcontinent has plenty of opportunities for meditation and improving wellbeing. Visit Goa to learn ancient yoga practices in the lap of luxury. In many destinations here, you’ll find space to contemplate and relax. You’ll also have easy access to high-speed Wi-Fi, beautiful swimming pools, and gorgeous beaches. Goa is also famous for its exciting nightlife too. For a more traditional experience, find luxury accommodation in Kerala. Here, you’ll be treated with delicious vegetarian food, wonderful spa treatments, and daily yoga classes. When you visit Costa Rica, you’ll soon understand the concept of Pura Vida, or “simple life”. This motto underscores the spirituality, peace, and respect for nature that you’ll find here. In short, visiting this Central American location is the mindful adventure of a lifetime. To truly experience this unique Costa Rican lifestyle, seek out comfortable, self-catering accommodation first. You’ll find plenty of Costa Rica luxury homes with Luxury Retreats, with a selection for every budget. This ‘slow travel’ approach isn’t just great for your spiritual wellbeing – it’s also a brilliant way of protecting our environment. Taking your time on a vacation to Costa Rica means you’ll be less reliant on transport that pollutes the atmosphere. Focus on cycling, sailing and even walking as you explore this wondrous country. Costa Rica is blessed with an awe-inspiring coastline, as well as all the fantastic marine activities that go with that. Reconnect with nature and go on a whale-watching expedition. Costa Rica boasts the longest season of humpback whales in the world, and the animals stay close to Marino Ballena National Park and Golfo Dulce for eight months each year. Seeing these serene creatures will help you lose track of everyday stresses. Nothing helps you to lose yourself in another culture like learning a new skill. Luckily, Costa Rica is home to numerous surfing boot camps, and beautiful beaches to practice on. If surfing isn’t your thing, simply enjoy swimming in the cerulean waters, or grab your favorite book and relax to the sound of the ocean. We’re firm believers in the power of yoga, and recommend keeping up or intensifying your routine while on vacation. In Costa Rica, you’ll discover plenty of yoga retreats spread across the country. Yoga has become incredibly popular in Costa Rica – not least because of the ‘Pura Vida’ mentality you’ll discover there. Many of these wonderful centers feature classes held in the heart of a jungle, on the summit of a hill or overlooking the sea. This allows you to discover Costa Rica’s natural wonders while finding inner peace. If you prefer to stay active in other ways, don’t worry! There are plenty of brilliant hiking and kayaking opportunities in Costa Rica – no matter where you roam. Feel like getting close to local Costa Rican spirituality? Make sure you visit in time for one of the country’s colorful festivals. One of the most traditional of these is Límon Carnival, which celebrates the very best of Caribbean tradition every October. Expect vibrant costumes and elaborate parades, as well as a wonderfully fun atmosphere. If you’re looking for deep spirituality, head to the Fiestas de los Diablitos, which are held in December and January. During these events, indigenous communities commemorate their ancestors by wearing masks and costumes, and reenact a victory over Spanish colonists. 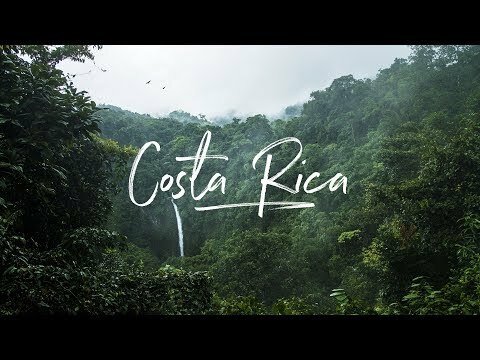 If you’re looking for a vacation that spurs on your spiritual awakening, Costa Rica is a great candidate. There’s no better place to do this than on one of the country’s striking volcanoes. See one of the world’s largest volcanic craters in Irazú, which now contains a natural emerald-green lake. It’s just one of the awe-inspiring wonders that you’ll come across here. Costa Rica is home to some 129 volcanoes, including six active ones. One of the best to visit is Arenal, which continues to gurgle and spurt out gases at regular intervals. Since this volcano is so active, it’s best to admire it from afar or in the surrounding natural park. If you’d like to see the beaches of Costa Rica from another angle, consider traveling down the stunning Nicoya Peninsula. Separated from the mainland by the Gulf of Nicoya, this beautiful 121km-long coastline is a secluded haven of flora and fauna. Along the peninsula, you’ll find peaceful beaches for contemplation, nutrient rich fruits and produce as well as a wide range of wildlife. Take a local tour or rent a car to explore this must-see destination. Take a break from beaches and head to central Costa Rica for a truly serene experience. Check out the La Paz Waterfall for a close experience with the marvels of nature. The waterfall’s name means “the peace” in English, is around 121 feet high, and cascades into a small blue pool. Behind the waterfall, you’ll find a small shrine as well as numerous hiking trails to continue your journey on. The waterfall is also close to La Paz Waterfall Gardens, where visitors can see and learn about various forms of local wildlife. If you visit Costa Rica without sampling its diverse food scene, you’re missing out! Featuring the best of Latin American flavors, delicacies vary region by region. Tropical fruit juices called naturales, traditional rice and beans and fudge and ice cream sandwiches are just some of the favorites you can savor here. For a refreshing end to a meal, try some “agua de sapo”. This beverage consists of lemonade with a hint of brown sugar and ginger – perfect for an energy boost during your travels. Iceland and its unique landscape have inspired both ancient poets and modern creative minds. Rough volcanic rock formations and cascading waterfalls have also convinced visitors that there is something deeply spiritual about this Arctic island. Whether you’re looking for adventure or enlightenment, Iceland is a must for anyone seeking an escape from the everyday. Follow our tips to make the most of it. A phenomenon famed all over the world, the Northern Lights are a must-visit for spiritual travelers. Experience the best an Iceland winter can offer by booking a tour to see Aurora Borealis. The Northern Lights have been shrouded in myth for thousands of years. Early pagans explained the mysterious lights with legends. Some claimed the green glowing streaks formed a gateway to Valhalla, or the kingdom of the Norse gods. Others believed that the lights could ease the pain of childbirth among pregnant women. While modern science has explained the origins of Aurora Borealis, this natural light show is one of the most awe-inspiring sights in the world. We’ve talked about trips that spur on your spiritual awakening before, and Iceland is certainly one of those places. We recommend bathing in a hot spring to fully experience this. Dotted across the island’s volcanic landscape, these pools are naturally heated by intense geothermic activity below the earth’s surface. As a result, the water is enriched with beneficial minerals. Witness the serene side of Iceland in Westfjord. 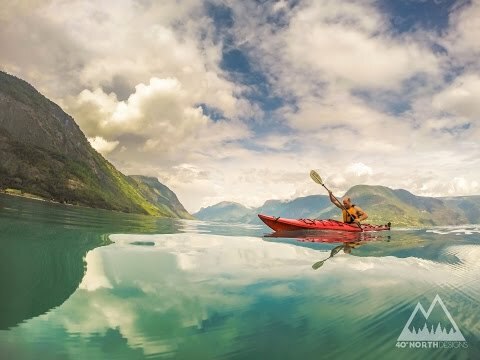 Far from the hustle and bustle of tourist areas, waterfalls, fjords and jagged cliffs surround this spectacular region. Bathe in a pool at Reykjafjordur, and breathe in the pure, fresh air. This is one of the best ways to truly let go in Iceland. Iceland’s stunning geography and rock formations are indisputable natural wonders. However, did you know they’ve also inspired fantastic tales? Thor may be the star of comic books and movies now, but the hammer-wielding Norse god has origins in ancient Icelandic culture. According to Icelandic legend, trolls and other supernatural beings helped to create this unique landscape. In Reynisfjara, local legend claimed that the volcanic basalt columns were once trolls. Meanwhile, the spirit of a female prophet is said to protect the picturesque town of Völvuleidi. When you see rural areas for yourself, you’ll understand why Icelanders continue to be a very spiritual people. If you drive further north to Raufarhöfn, you’ll come across a striking circle of stone towers. This is Arctic Henge – a complex structure that has been designed to frame the midnight sun during the winter solstice. Although the Arctic Henge is a modern creation, it takes its inspiration from Stonehenge in England and Newgrange in Ireland. What results is something of a giant sundial – the towers cast shadows in precise locations, depending on the time of year. Knowing a nation’s history is key to knowing its spirituality. With a visit to Thingvellir National Park, you’ll get close to Iceland’s ancient culture and its amazing nature. A renowned UNESCO World Heritage Site, this area was once the home of Iceland’s parliament. It’s said that the unique geography of the park created a nature amphitheater-style arena, where every speaker could be heard. The undisturbed landscapes around Thingvellir are also notable. Here, you’ll find seismic fault lines, impressive rock formations and the beautiful Öxaráfoss Waterfall. Free your mind by diving in the clear waters of Silfra and Davídsgjiá, two submerged rifts on the park’s lake. There are hundreds of natural wonders all across Iceland, but Jökulsárlón is a must-visit. Though the lagoon has served as a backdrop for numerous action movies, it’s far removed from high-octane thrills. From a distance, the sight of Jökulsárlón is a serene one. The light blue icebergs have been compared to a ghostly procession over the freezing cold water. Breathe in and appreciate all their beauty. Getting up close to these magnificent structures couldn’t be a more different experience. Sailing among these huge icebergs can be a truly humbling experience. 7. Don’t Rule Out Reykjavik! International flights to Iceland arrive at Keflavík International Airport near Reykjavik, but that doesn’t mean the capital is a mere stopover. There is plenty to do in this exciting and cultural city, besides arrive at the airport. Go hiking on the nearby Mount Esja for inspiring, birds-eye views of Reykjavik. Trails around the mountain range from easy climbs to more challenging ascents, so don’t be put off if you’re an amateur hillwaker. The panorama from the “Steinn”, a point around 200 meters below the summit, is a great place to stop and appreciate how far you’ve come. For cultural evenings in Reykjavik, check out the Harpa Concert Hall. The venue hosts a wide range of classical, jazz and world music events. Spirituality is more than a practice—it’s a way of life. 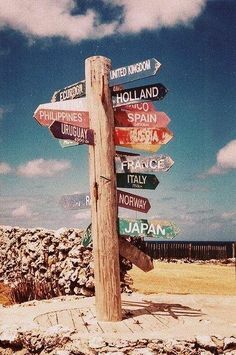 Spiritual travelers often know that you can’t change who you are no matter where you venture. If spirituality is a big part of your life, you’ll want to bring it with you. One of the best ways to celebrate your own spirituality—and learn about how others celebrate theirs—is by visiting countries that have rich spiritual roots and practices. For your next divine retreat, consider Bali villas for rent, hotels with their own shrines or remote lodges. No matter where you stay, these eight spots offer the most spiritual experiences. 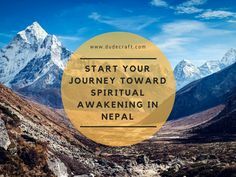 Possibly the most spiritual place on the planet, Nepal has plenty to offer those looking to keep things sacred. Traditional Buddhist monasteries, hilltop temples and the extreme solitude of the Annapurna Circuit are all incredibly important to the country. Combining unreal picturesque views with stunning religious sites makes for an incredibly spiritual trip. Highlights include Pashupatinath Temple, a sacred place for Hindus located just outside the capital of Kathmandu. The many islands of Indonesia are perfect for spiritual travelers, though Bali obviously takes the cake. This prominent island—one of the most traveled in the world—is home to many different yoga and meditation retreats. Even if you’re not there for a retreat, the many festivals, opportunities to experience traditional song and dance, local food and lush landscapes offer a divine trip every time. Explore the rich spirituality of this island by catching sunrise at the ancient Ulu Watu, or escape from the trials of tourism by meditating in one of the island’s secluded caves. There are quite a few places in Peru that spiritual travelers will want to visit. An obvious choice is Machu Picchu, a hard-to-reach ancient sacred site on top of a mountain. Surrounded by other peaks, the green spaces are gorgeous—and offer plenty of history. The historic Incan town of Cusco is another prominent spot, which is home to the Qorikancha temple ruins. Natural areas like Lake Titicaca and Aramu Muru are also perfect for that journey to inner peace. History plays a major role in any trip to Ireland—and with history, comes religion in this country. Faith was incredibly important to the Celtic people, and they believed that God was everywhere. And when you see rolling green hills, wild coastline and towering cliffs, it’s not hard to believe why they believed that. Dublin and Cork, Ireland’s two main cities, boast beautiful cathedrals amidst their hustle and bustle. Meanwhile, the medieval city of Kilkenny houses some stunning churches and castles. For a wilder experience, head west to Connemara or Kerry, where Celtic beliefs are still intertwined with everyday living. If you happen to in Ireland during the Winter Solstice (Dec. 21st), go to the ancient burial site of Newgrange. On this day every year, sunlight enters the tomb and lights the way through its ornate passages. Home to Angkor Wat, Cambodia is a must on any list of spiritual countries. This Buddhist city is made entirely of temples—and also contains the largest religious temple in the world. Exploring the temples’ various corridors, staircases and architectural designs along with unique statues and shrines will showcase the temple-city’s diversity. 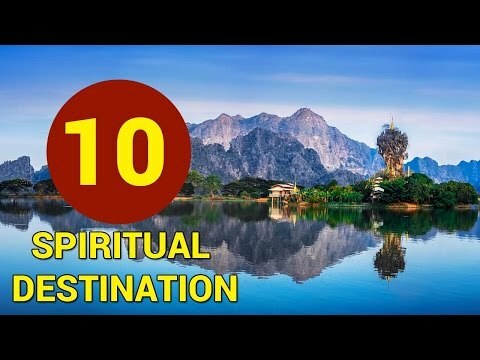 Other spiritual spots can be found at the holy mountain of Phnom Kulen, the ruins of Prasat Ek Phnom and the pagodas in Battambang. If you do visit Cambodia, be sure to check out Kampot – it’s a really cool place to get off the beaten track for a while and soak into a slower pace of travel. Check out this Kampot travel guide for more info. While all of the U.K. isn’t necessarily a spiritual experience, there’s no denying that there are some mysteries in the English countryside. Stonehenge is an important site for many across the globe. Even now, modern-day pagans flock to the ancient site to celebrate sunrise during the Summer Solstice. But there are other sites that deal with the historic divine as well. The King’s Men ceremonial stone circle, on the border of Oxfordshire and Warwickshire, dates back to 2,500 B.C. The standing stones at Avebury in Wiltshire are even older, and the area is also home to various crop circles. India is another space where a spiritual journey is going to be met with endless excitement. There are so many ways to celebrate here, a place where devotion is above nearly all else. Gurus can be found all around the country, meditation retreats are plentiful and there are plenty of temples for spiritual travelers to visit. Varanasi, a sacred Hindu city, is a must-see – simply explore its colorful, winding streets to see why. Rishikesh, the birthplace of yoga, is also home to some of India’s finest temples. If you’re looking for a longer trip, consider tracing the route of the Ganges – India’s most important and sacred river. Another must on any list for spiritual travelers is Thailand. This top destination sometimes gets a bad reputation for raucous parties and excess in its cities, but don’t forget how important Buddhism is to local culture. You’ll find thousands of temples dotted across this beautiful country. This is no surprise, considering more than 90 percent of Thai citizens practice this ancient religion. Because the divine is so important to Thai culture, it is evident in architecture as well. With so many temples, monks, palaces and lotus flowers in Thailand, anyone even remotely in tune with their own spirituality will feel right at home here. The Dragon Cave in Phang Nga, Wat Pho in Bangkok and the Tiger Cave Temple in Krabi are among the highlights for a dedicated spiritual traveler. When I first decided to start doing yoga in Chiang Mai I was super excited. I had read so many articles and blogs about how beautiful Chiang Mai was, but once I finally arrived it still blew my expectations out of the water. The unbelievable architecture of the Buddhist temples left me spellbound while the magnificent mountainside left me in awe. No matter how many blogs or article or pictures I eagerly read up on about Chiang Mai, it’s natural beauty and tranquil energy blew me away. My first stop was Bangkok, it was only a day stop over so unfortunately I didn’t have a chance to try any of the yoga in Bangkok, but I didn’t mind to much. Bangkok didn’t feel like the right place for me to practice yoga. I found myself often bothered by the traffic and feeling nauseous due to a layer of smog that seems to linger through the largest City of Thailand. Once I arrived in Chiang Mai nothing could stop me from getting my yoga practice on. I started the very day I arrived. I checked into my hotel, I showered and then I hit the town in search of the best yoga chiang mai had to offer! I asked around and found out that there was a yoga studio only 5 minutes away from where I was staying. The old city of Chiang Mai is small, easy to navigate and full of fun surprises around every corner. I even stumbled across a delightful vegetarian restaurant that I decided I would try in the evening once my post yoga hunger had set in. Namo yoga was the name of the studio within 5 minutes of my hotel, I spoke with a manager who informed me that a vinyasa flow class would be starting in around 30 minutes and I was welcome to join. 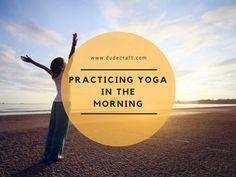 Vinyasa yoga in a dynamic flowing style of yoga that creates a connection between each pose with the one before and the one following so you feel like you’re in a constant flow of energy and movement. The nerves set it as I paid for the class and was set up stairs to nervously await my first yoga class in chiang mai. The teacher was an older thai lady, she was super friendly and she guided us through I soothing yet powerful Vinyasa class that left me feeling grounded, balanced and sweaty. I was really happy that I had made my finally made my dream of practicing yoga in chiang mai a reality… and on the way home I stopped for for some delicious vegetarian food. I awoke at 5am the next morning feeling wide eyed and energized, my planned taxi picked me up and we took the windy road up to doi Sutep Mountain to watch the sunrise. Doi Sutep offers a stunning view of the entire city of chiang mai, luckily for me thy sky was clear and the view of the sun creeping up from the horizon was something I will never forget. Even more amazingly, at the top of the mountain is a Buddhist training center that offers meditation retreats and learning course in English, these course included daily Buddhist meditations, Buddhist teachings and Buddhist meals for all visitors. Over the next few days I enjoyed a few more great yoga classes at freedom yoga and a couple of other studios around town, each one was lovely and extremely inviting to all the travelers passing through town. I also found the yoga studios in chiang mai to be great places to meet likeminded travelers who are into health wellness and of course yoga. After a few days we had formed a group of about 5 of us all from different countries, we were enjoying sharing our healthy lunches and dinners together in between yoga practice of course. One thing I learned from my practice of yoga in chiang mai is that it is really very different to the usually practiced back in the western world. I almost felt as though the Buddhist culture of Thailand and Chiang Mai had somehow filtered into the way the teacher structured there class and communicated with their students. I found the chiang mai yoga to have a large emphasis on mindfulness, balance and “turning inwards” I learnt this phrase during one of the classes I took. It means to switch of from external stimulation, to let the mind slow down and to connect with yourself and your natural surroundings on a deeper more intimate level. I also found the instructions to be very accurate and timed extremely well to make each movement feel as though it is a graceful, purposeful movement. Students were also encouraged to push their boundaries in a responsible way. I find that Yoga in the western world tends to miss out on a lot of the fundamental focuses, purposes and goals of yoga that were present in chiang mai. Instead of bringing balance into the mind, becoming connected to the breath and being mindful of the the body, western yoga seems more just like an aerobics class. To fast paced to connect with your breathe in the first place and to aggressive to have even the slightest chance of calming the mind. I guess it seems like a workout at the gym and nothing more.